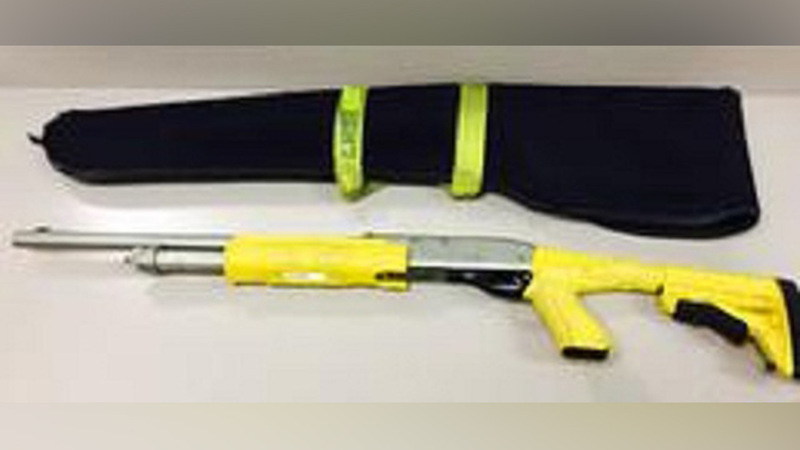 COMPTON, Calif. (KABC) -- Los Angeles County sheriff's deputies are asking for the public's help to help locate a missing stun-bag shotgun. The shotgun has distinctive markings - it has a chrome colored barrel and a yellow stock. The gun is stamped "Los Angeles County Sheriff's Department" and comes with a black canvas carrying bag. The gun and carrying bag were in the trunk of a patrol car Friday night in Compton. A deputy reported it missing after finishing his shift Saturday morning. The weapon was loaded with non-lethal stun-bag shells, but it can also carry ordinary shotgun ammunition. The possible theft was under investigation. If you find the weapon, please contact the LASD's Compton Station at (310) 605-6500. If you wish to remain anonymous, you can call LA Crime Stoppers at (800) 222-TIPS or text TIPLA plus your tip to CRIMES (274637) or visit http://lacrimestoppers.org.